Swami Vivekananda one of the most famous inspiring human beings in India was born on 1863 in Kolkata, a part of Eastern India. Swami Vivekananda was a brilliant student right from his school days and had exposure in several fields such as arts, music, studies, and literature. 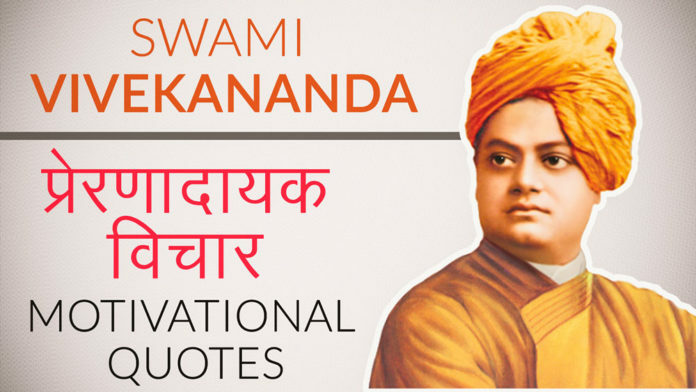 Swami Vivekananda Quotes make any human to feel enthusiastic, vibrant and active to succeed in his life. Born in Calcutta in British India, Swami Vivekananda was an associate of the Brahmo Samaj, a Hindu reform movement, and training to be a lawyer. When he stumbled upon Ramakrishna, Swami Vivekananda had a forceful religious experience and became one of Ramakrishna’s disciples. After his master’s death, he founded the Ramakrishna Math and the Ramakrishna Mission. He became a mendicant, travelled the length and breadth of India on foot, meditating and propagating his interpretation of Ramakrishna’s teachings.